Welcome. Glad you’re here. Let’s soothe that blood pressure! High blood pressure is a common issue for people in today’s fast-paced societies. According to the American Heart Association, just about one in three adults in the USA have high blood pressure. Pre-hypertension is a systolic pressure that’s between 120 to 139 or diastolic pressure between 80 and 89. Stage 1 hypertension is systolic pressure between 140 to 159 or diastolic pressure between 90 and 99 mmHg or higher. Stage 2 hypertension is systolic pressure higher than 160 or a diastolic pressure of 100 or higher. 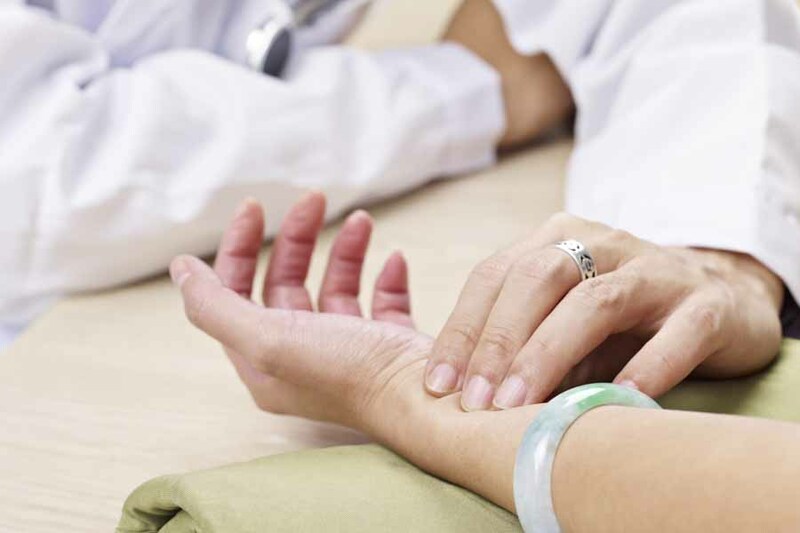 High BP symptoms often include headaches, palpitations, anxiety, and restlessness. General causes of high BP are stress, poor diet (particularly, alcohol, refined food, stimulants), smoking, lack of sleep, repressed emotions. 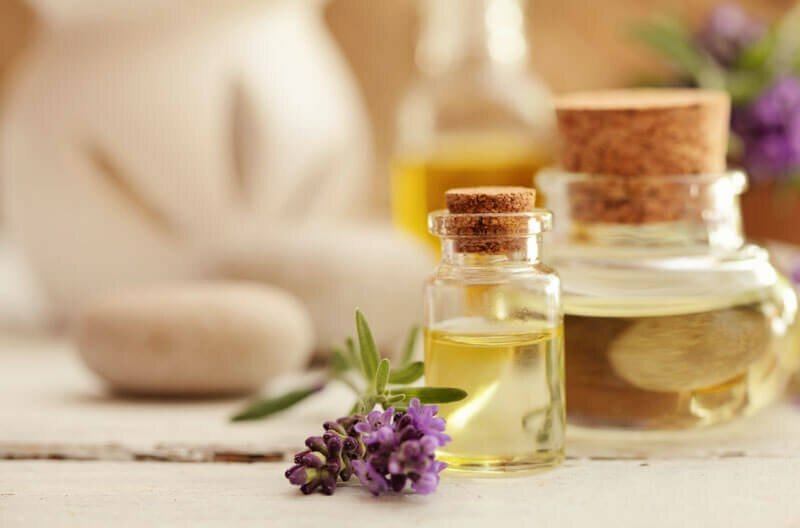 While high blood pressure and hypertension can be supported with essential oils, it is a condition that must be taken seriously – it’s important to consult your doctor regarding treatments, both conventional and alternative. Of course, natural treatments are preferred and can do wonders, but it’s essential that you be realistic and reach out for the aid of conventional medicine when it is necessary. Do not delay treatment for your high blood pressure as it can lead to problems such as heart attacks, kidney failure, stroke and peripheral artery disease. Below you’ll find a variety of essential oils and oil mixtures that are particularly effective at supporting a calm heart and lowering blood pressure. Feel free to use any of these oils alone or in a mixture in an essential oil diffuser. Particularly effective before bed. Geranium improves circulation, detoxifies, lifts up sluggish digestion, balances emotions and promotes restful sleep. 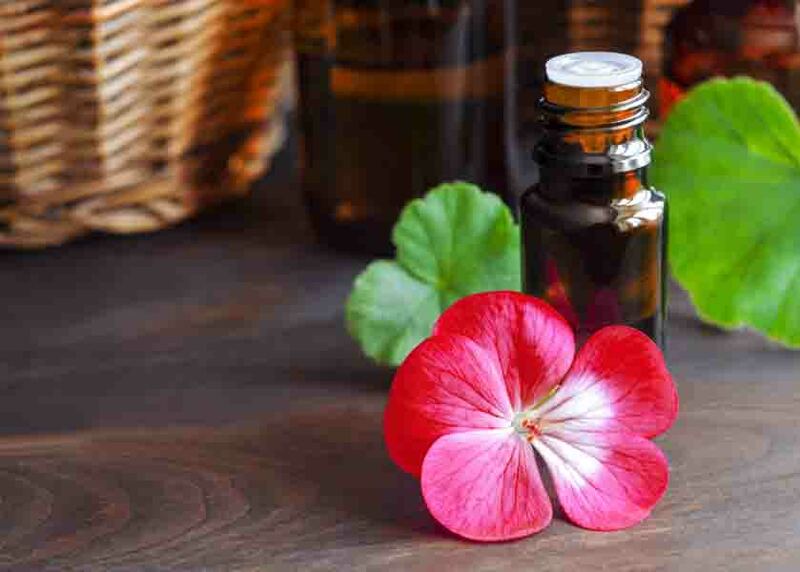 Geranium is an effective nervous system balancer which helps to calm an overactive mind. Geranium is particularly useful for stress & anxiety and is perfect to diffuse at bedtime. Marjoram and is a warming and soothing oil that’s well known to lower high blood pressure via its blood vessel dilating qualities. It also has a calming effect on the emotions; limiting stress and soothing the mind. 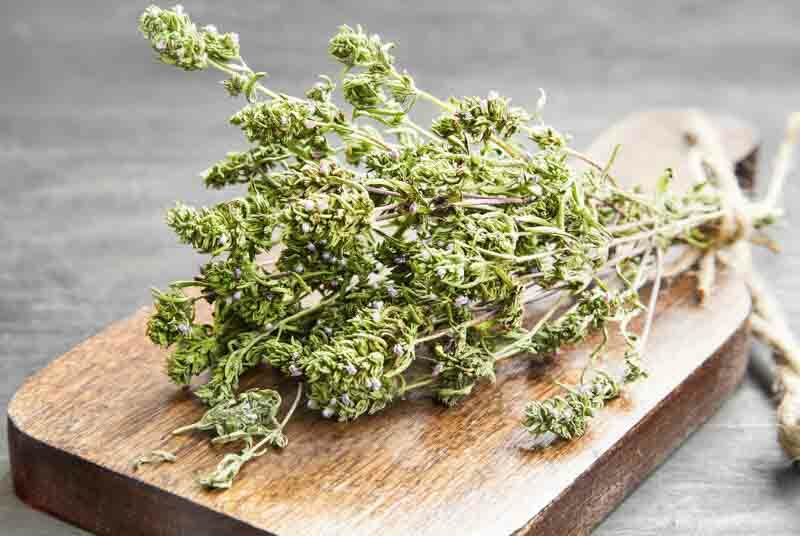 It effects on the body also include digestive support, brain support, hormonal support (especially for women) and muscular ache and cramp relief. 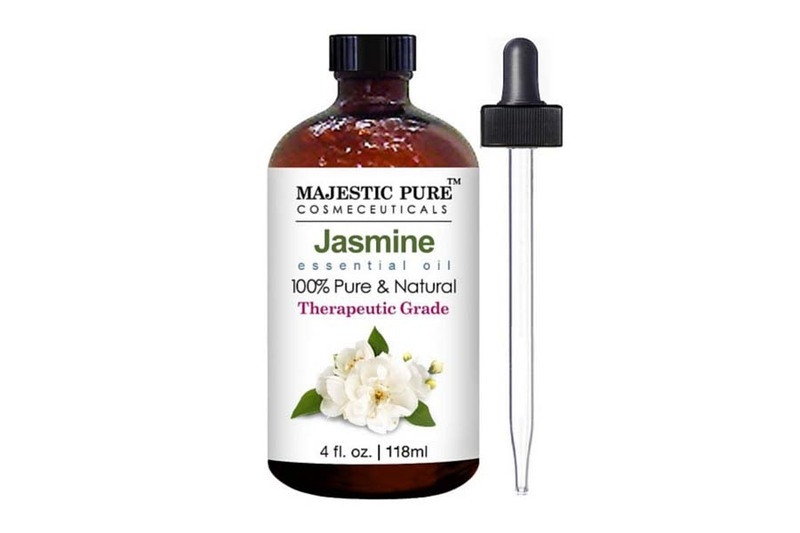 Jasmine oil is an uplifting, euphoric oil that calms nerves, boosts feelings of confidence and optimism. It’s emotional balancing qualities improve your breathing, lifts depression and alleviate nervous anxiety. 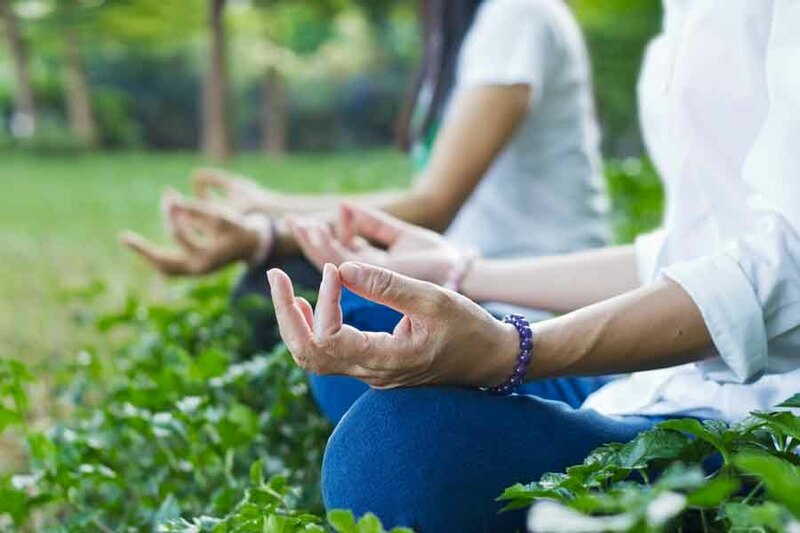 All of these emotional benefits bring calm and ease to a stressed out nervous system, which is often a leading culprit in cases of high blood pressure. Most of us are familiar with the calming and balancing effects that can bring to our often stressed out brains. 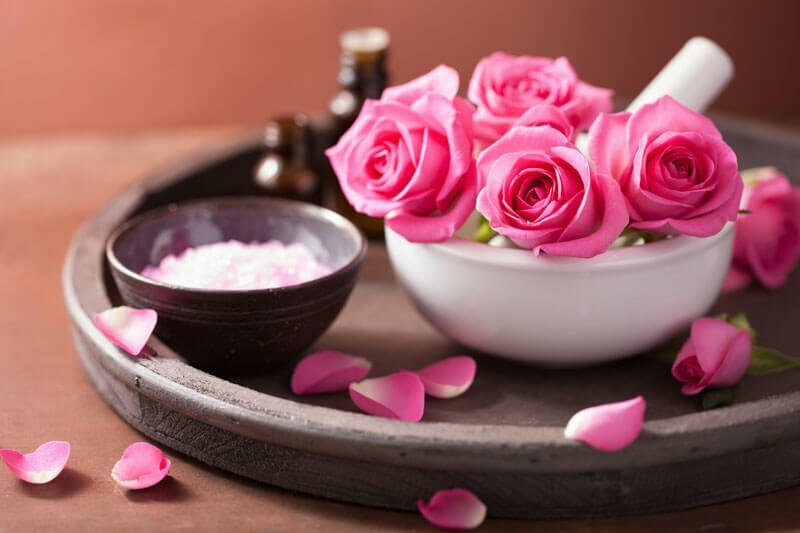 Rose has potent calming, cooling and anti-inflammatory qualities which help instill relaxation in all bodily systems. All hormonal and emotional complaints are addressed by rose oil. 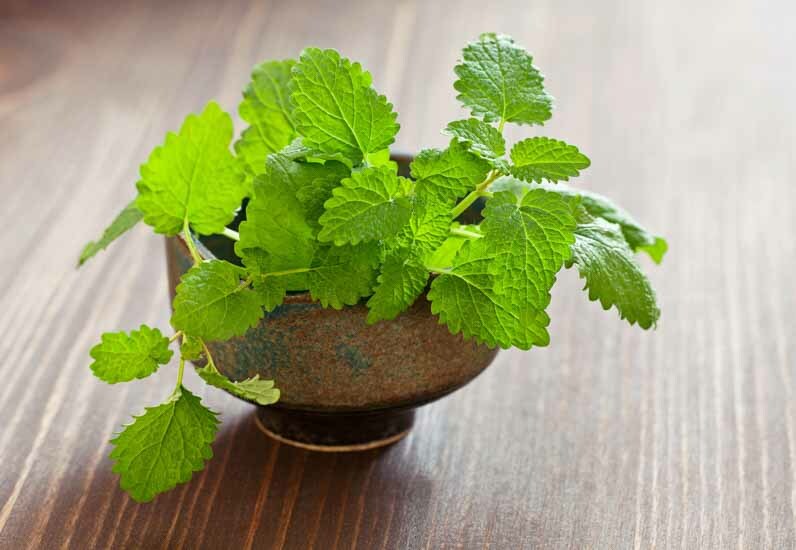 Its ability to increase circulation makes it a particularly well-suited oil for high blood pressure. 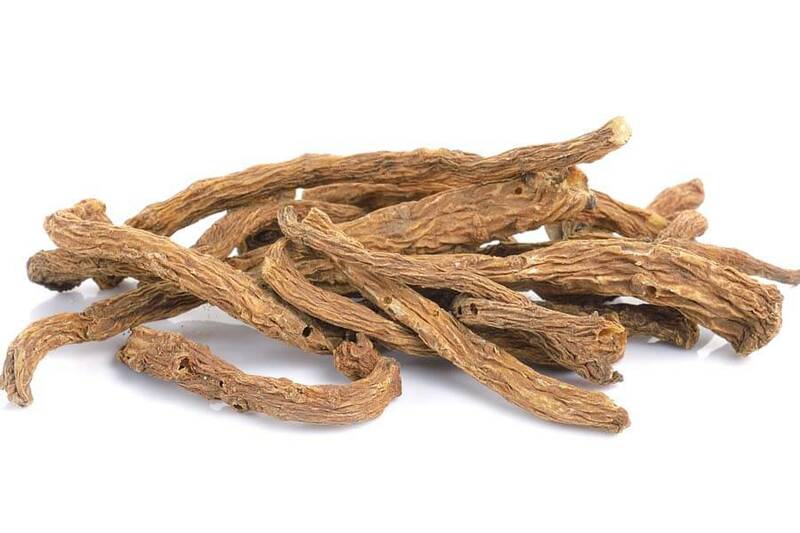 Valerian is a grounding oil that is well known for its powerful sedative effects on the nervous system. Valerian relaxes our tense sympathetic nervous system and engages the calming, “rest and digest” parasympathetic nervous system. 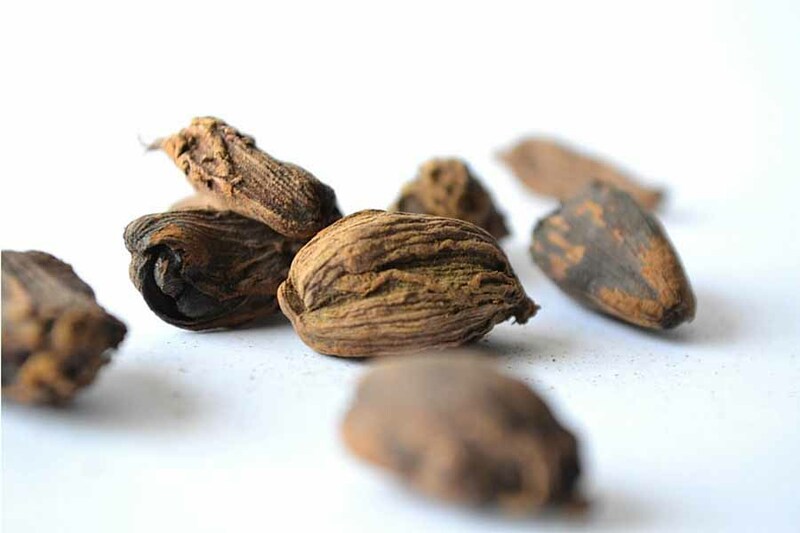 Valerian eases heart palpitations, hyperactivity, insomnia, shock and nervous tension. It is perhaps the best oil to use at bedtime to induce a restful sleep. 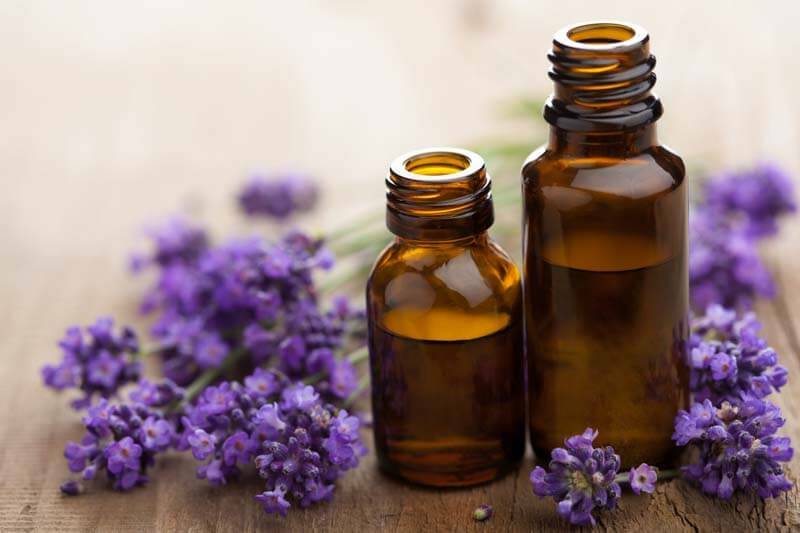 Lavender oil is an all-around healer with a wide variety of uses and therapeutic actions. You’ve likely enjoyed it for it’s calming, anti-inflammatory and antiseptic qualities. It’s one of the most desired oils for stress and tension. It’s analgesic actions make it perfect for headaches as well. 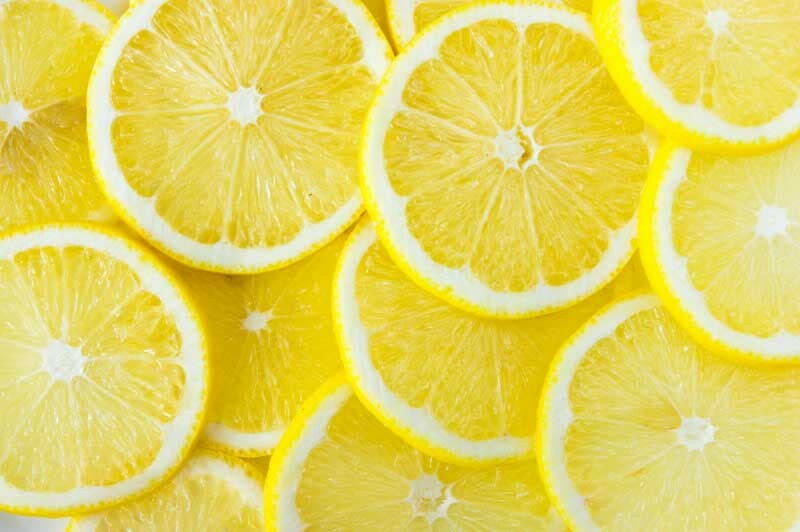 Lemon is great for indigestion, has a ton of practical in-home uses and relieves anxiety while improving mental clarity and boosting energy levels. 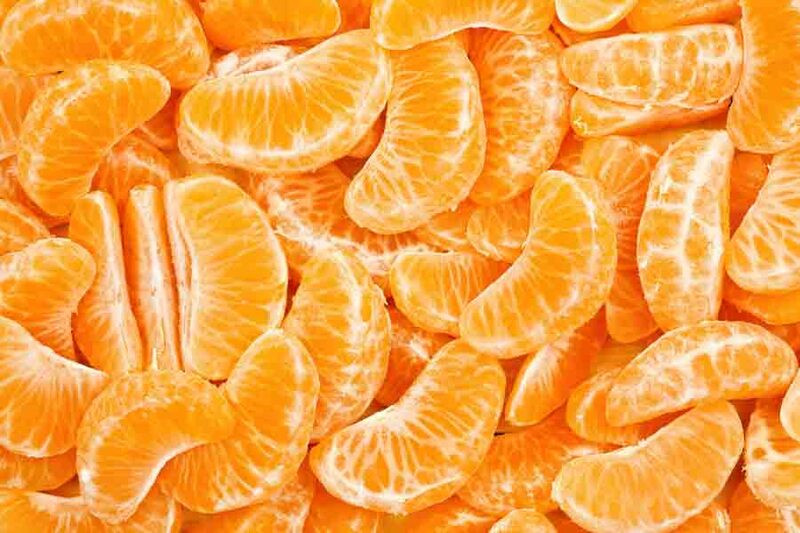 Mandarin is a refreshing and soothing oil. It relieves muscle cramps and stiffness, improves liver function, stimulates digestion and calms the nervous system, which relaxes the mind and limits the effects of stress and anxiety. Melissa has a calming and uplifting effect on the body. It contains potent antidepressant properties, and as a result, helps to lift the mood and restore emotional balance. Melissa helps promote healthy digestion by regulating the secretion of digestive juices and bile in the stomach. It also acts as a tonic for the heart, which lowers high blood pressure and protects against heart palpitations, rapid heartbeat, and heart attack. 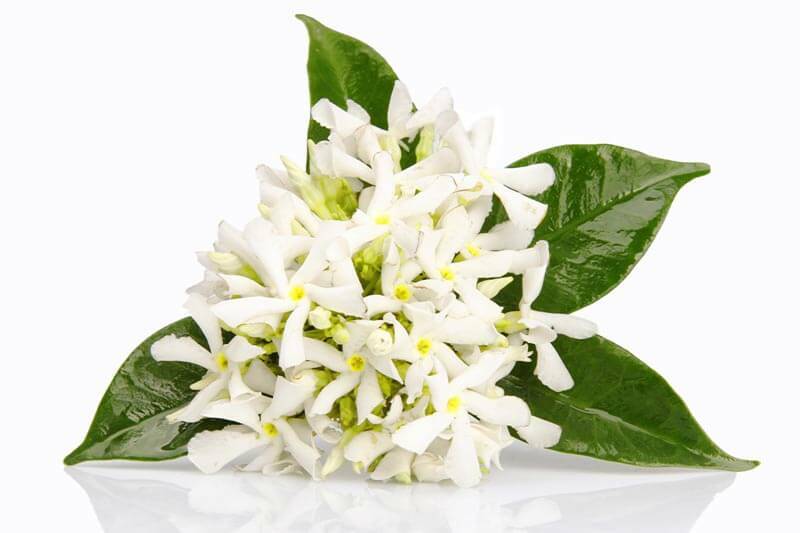 Neroli, like the others oils listed above, has calming qualities which lift depression and ease stress and tension. Neroli is also indicated for states of anger, where it helps to deeply calm the mind and dispel feelings of anger and irritability. You can place 2 drops on a tissue and inhale regularly or diffuse 4 drops in a room that needs to have negative feelings dispelled from it. Nutmeg is an effective anti-inflammatory and pain relieving oil. It’s warm and spicy aroma makes it great to diffuse, particularly in the winter months. Nutmeg oil stimulates a tired mind and body, helping to overcome low energy levels and mental exhaustion. Yarrow is one of the better blood circulation stimulating oils on this list. Improving blood circulation helps to reduce high blood pressure significantly. 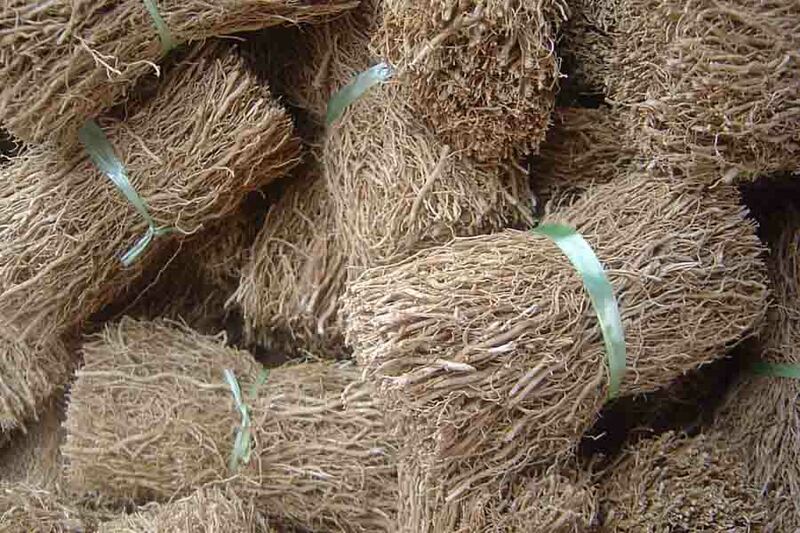 Vetiver promotes an overall sense of calm in both body and mind. It’s perfectly suited for feelings of irritability, anger, and frustration. It balances the emotions following instances of shock, worry or grief. 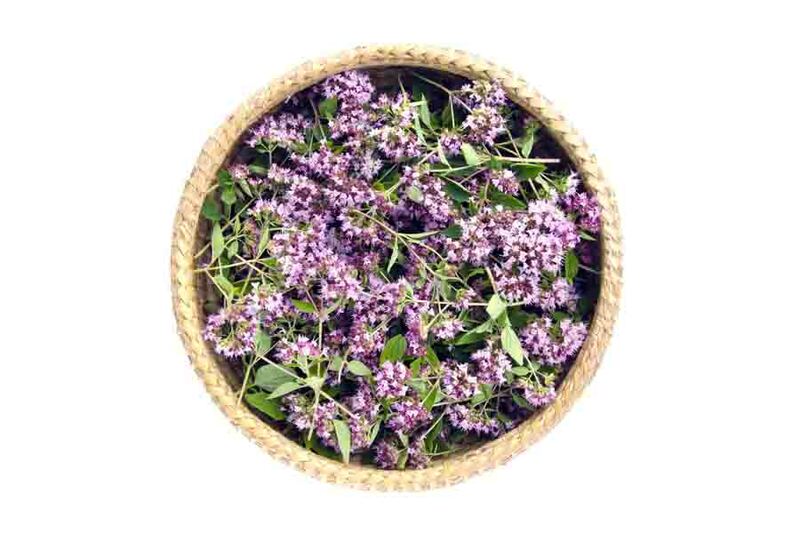 Like valerian, vetiver is a good oil for inducing restful sleep. 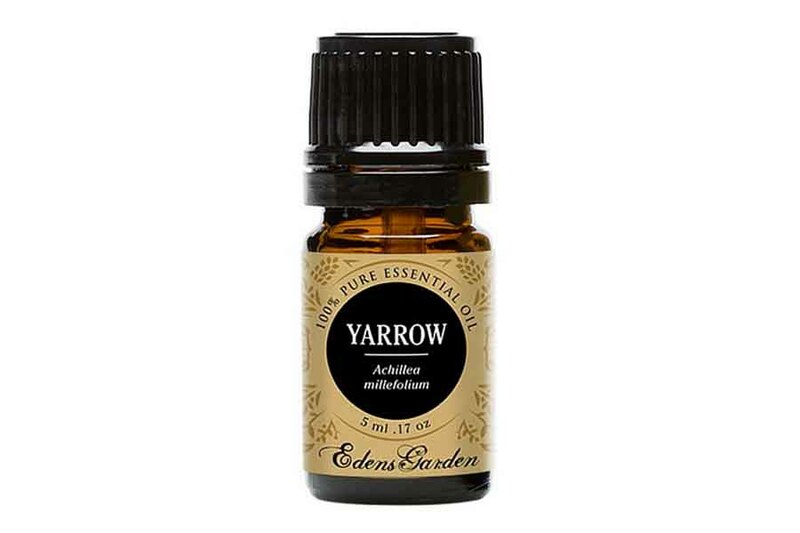 Calming in times of stress, ylang-ylang promotes relaxation, slows a rapid heartbeat and decreases high blood pressure – all while improving mood. 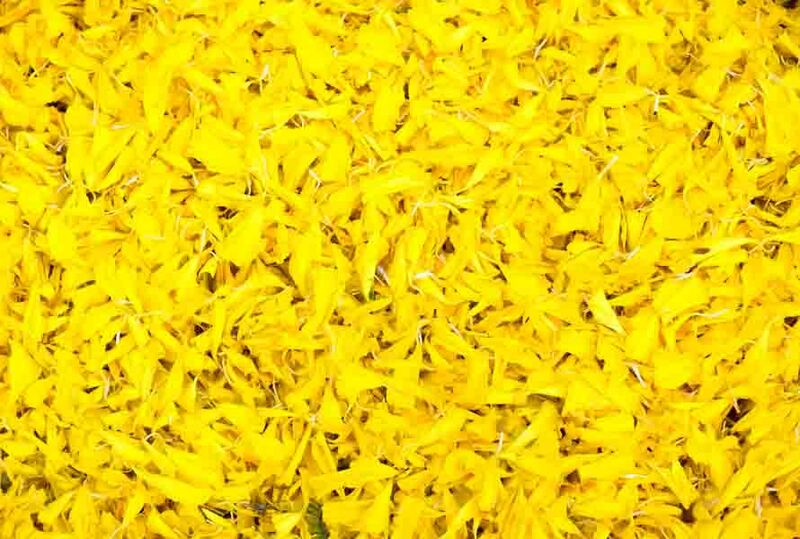 It is one of the better oils for anxiety, as long as you like the smell. While the oils listed above will help to calm your blood pressure, the ones listed directly below will do the opposite. These oils are known to be hypertensive, which means they could raise your blood pressure. 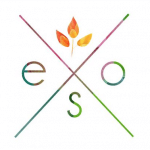 In a 5 mL glass dropper bottle combine your essential oils. If you enjoy taking a bath with this blend limit your baths to twice per week. Combine essential oils and apply 4-5 drops of mixture per bath. Take your pressure at consistent times. By taking your blood pressure at the same time each day you are likely to get more reliable readings. In researching blood pressure monitors, it seems that the Omron brand of blood pressure monitors is a preferred choice for patients and doctors. Potassium and sodium balance each other out in the body. In today’s world, we are consuming large amounts of sodium and less than ideal amounts of potassium. The result is that many people with high blood pressure also have unhealthily low levels of potassium in their blood. Getting more potassium will greatly help your kidneys, as it’s the kidneys that require the delicate balance of sodium and potassium to operate effectively. To get more potassium, it’s recommended that you eat more foods that are high in potassium. These foods include potatoes, sweet potatoes, bananas, oranges, tuna, yogurt. Generally, fruits and vegetables will have some amount of potassium. You can also take a potassium supplement – just be sure not to overdo it, as too much potassium can be harmful. This is especially so in the case of kidney disease or if you are taking certain blood pressure medications. When taken in the correct dosage niacin can have a beneficial blood-pressure-lowering effect on the body. Just don’t take too much, because it can lower blood pressure too much! The suggested dose when taking a niacin supplement is around 16mg per day for adult males and 14mg a day for adult females. You can go higher than that, just avoid doses above 50mg. CoQ10 was first identified in the 1950s. It is a molecule that is essential for cellular energy production (found in the mitochondria). It has been found to be particularly beneficial for treating diseases of the cardiovascular system. It supports the cardiovascular system and also operates as a potent antioxidant which protects the system from free radicals. CoQ10 also improves membrane fluidity, which decreases viscosity – which decreases hypertensive qualities. Taking a CoQ10 supplement may lead to sustained, albeit slow, improvement in heart function in hypertensive individuals. CoQ 10 is also helpful in preventing and reducing the risk of congestive heart failure (a more common disease than people often realize). Omega 3s are essential fatty acids that are found primarily in fish and some plant foods. Research has shown that omega-3 fatty acids (especially the DHA variety from animal sources like cod liver oil) have a positive effect on blood pressure and can consistently lower elevated blood pressure. Omega 3s are also very helpful in general for the heart, brain, joints and general wellbeing. 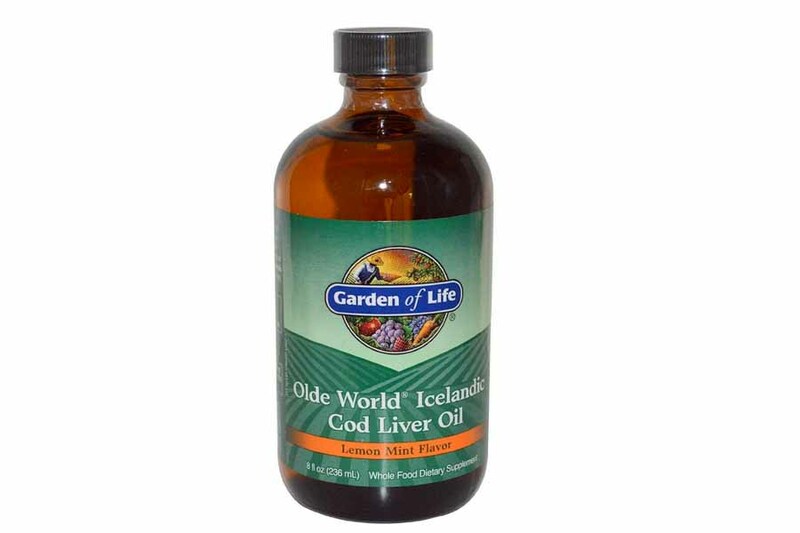 Higher doses of cod liver oil are shown to be more effective for blood pressure, but be aware that in higher doses you could have interactions with medications such as warfarin, aspirin or ginkgo. Garlic has long been considered a tonic to high blood pressure since it slows down the pulse rate and smoothens the heart’s rhythm. If you’re a fan of eating garlic just add more of it to your food. 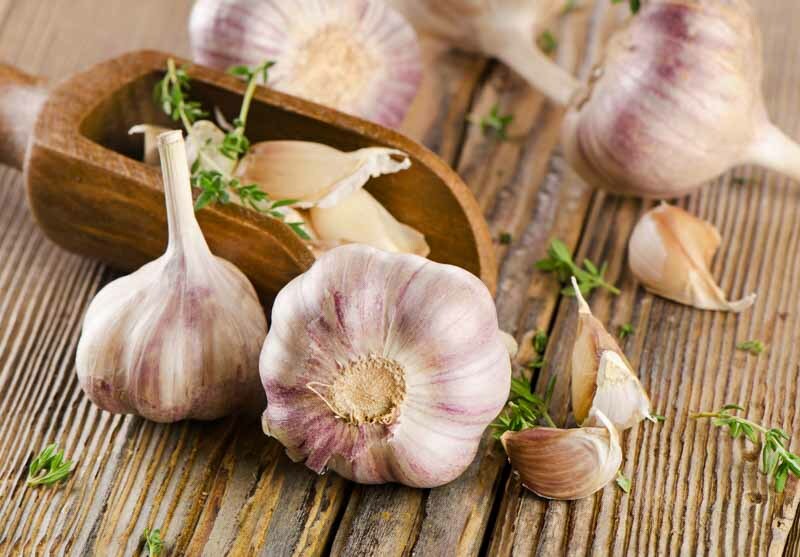 If you are a fan of garlic then consider chewing 2-3 raw cloves of the stuff a day. You could also take a garlic supplement. All of what’s listed above have adverse effects on your blood pressure. Avoid them whenever possible, and if you find that you have a hard time distancing yourself from these potential vices then consider seeking help from a professional. A stressful routine piled on top of unprocessed anger, hurt, frustration, irritability, anxiety, and fear lead one to developing a malfunctioning endocrine system. Risky conditions like hypertension are soon to follow. 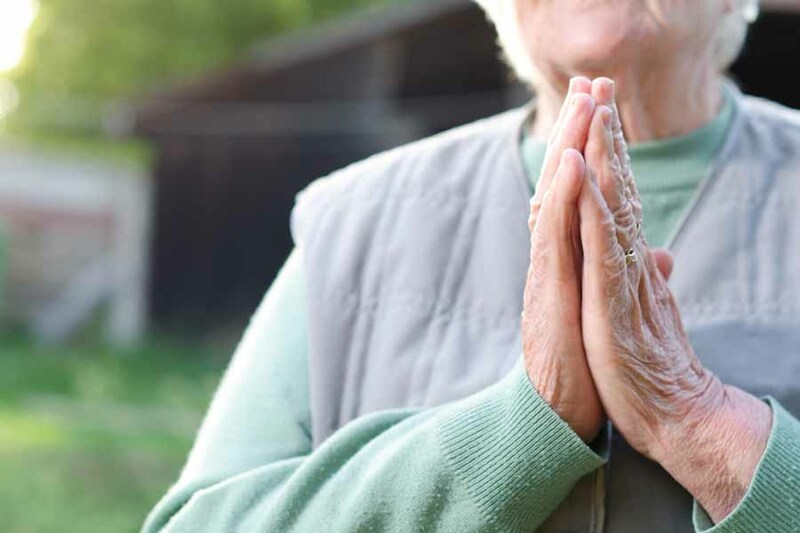 Yoga, meditation, light exercise, and therapy are all highly advisable. Physical inactivity may raise the risk of high blood pressure by 30 percent. Regular exercise can lower blood pressure and improve heart health. At least 30 minutes of aerobic exercise per day is typically recommended. Hopefully, this article has proved helpful for you. If you have any questions, comments or recommendations of your own, please let us know in the comment section below. 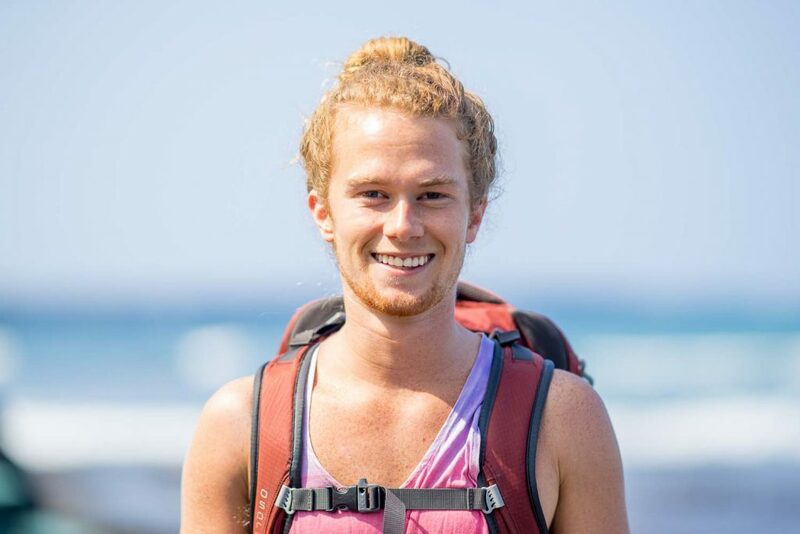 I really appreciate how thorough you are and that you encompass all aspects of a persons life not just “use this oil or herb and all will be well”. Please keep up the good work and I look forward to reading more from you. You’re very welcome and thanks for leaving a kind comment! This was immensely helpful. Thank you so much for such valuable, interesting and comprehensive information! Interesting that in the alternative BP massage blend you added 5 drops Hyssop, which is listed under the essential oils that will raise BP. Am I reading this wrong or what is the reasoning behind adding this eo? Thanks for catching this, Chris. I’ve removed Hyssop from the hypertensive oil list. It should be fine to use in that massage blend that I’d mentioned. So what oil if you had to choose one or two for a servere rise in ones blood pressure would work the quickest to get it down..200/89 suddenly from a stressful situation at work? How do you avoid “too much contact” with hypertensive oils? How much is too much? I want to make a room spray with essential oils for my mom and she has requested the scent of cinnamon. She has high blood pressure which is controlled through diet and medication. She’s only going to be using the cinnamon spray occasionally and not using it medicinally. Should be just fine, I wouldn’t be concerned unless there’s topical contact. 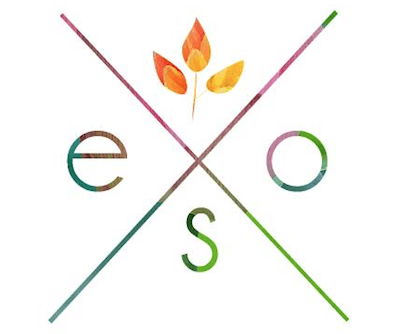 I am new to your site and have a question regarding inhaling EOS. Are all of those listed safe to inhale for BP purposes? I am thinking of lavender, geranium,marjoram,lemon, rose. Or could you suggest a few? I already use some of these for bathing. Also,would there be any problem with reaction to mixing these together or inhaling a few at the same time…although not every day? Thank you for your help. Hi Martha. No problem inhaling those oils, enjoy! I battle diabetes, II. Blood pressure top number is 140’s to 160. Out of CoQ10 and getting more, today. So tired of big pharm bp meds enalapril and amlopidine side effects. Just began the amlopidine and no good for me. So, I need Potassium supplement, but, how much is the dosage? I use garlic, fish oil, flaxseed oil. Too much niacin in B-complex, so I need to get Niacin separately? Good afternoon! I wish I had seen this before I bought rosemary oil to use on my hair in DIY hair masks (avocado, egg, castor oil, sage and rosemary) and hot oil treatments (mixture of oils). Should it be okay if I use the oil very sparingly? I threw away my receipt as I didn’t think I needed it anymore so I can’t return the oil. Thanks! It looks like you have cinnamon oil in the ‘don’t use’ list. There are so many studies on the benefits to lower bp.